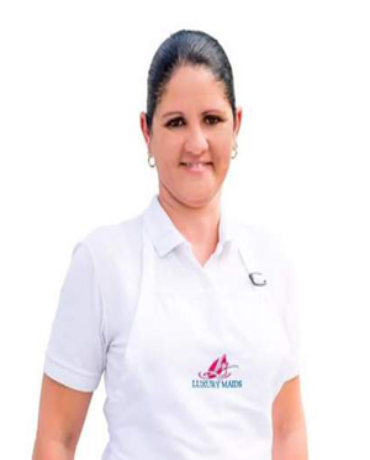 Silvia Timoteo is the founder and president of Luxury Maids. A former Sergeant in the U.S. Army, Silvia established Luxury Maids in 2007. 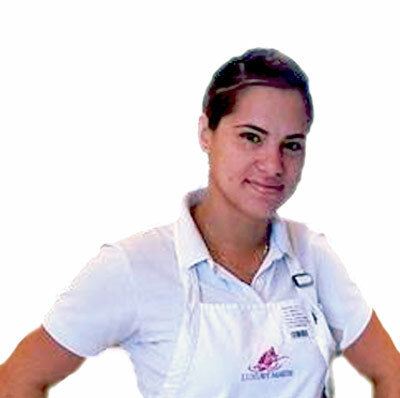 As a young girl, Silvia always knew she wanted to do something different. After speaking with an Army recruiter, she found her first calling. 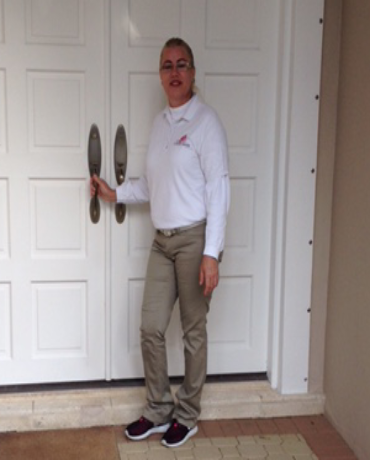 For years, Silvia served as a Petroleum Oil and Lubricant Specialist for the Army. She received a variety of honors, including Army Commendation, Army Achievement, National Defense Service, Global War on Terrorism Service, Army Good Conduct, Non-Commissioned Officer Professional Development ribbon, and Army Service ribbon. 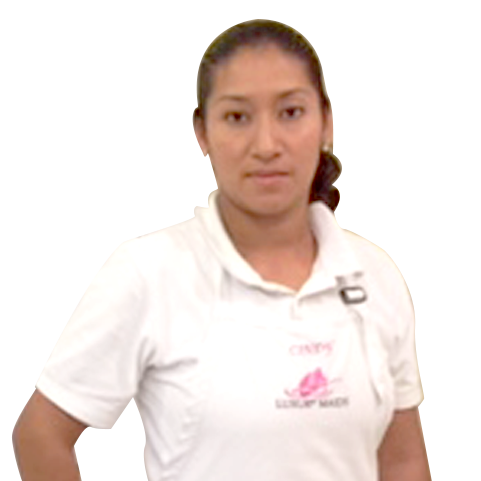 Graciela Torres joined Luxury Maids in 2010 after working for nine years as an accountant at a well-respected CPA firm. 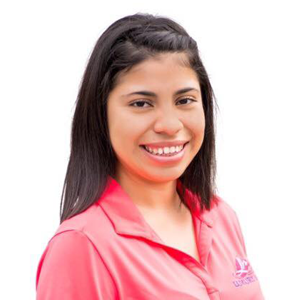 Graciela is skilled in payroll, bookkeeping, accounting, and small business reporting, and she is proficient in corporate tax preparation. 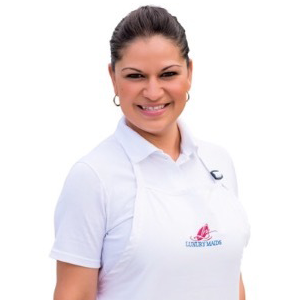 Originally from Northern California, Graciela moved to Florida in 2000 upon her graduation from the University of Utah with a Bachelor of Science in Economics. She attended the University of Utah on a full athletic scholarship for volleyball; she still holds the all-time “assists” record in women’s volleyball at the university. 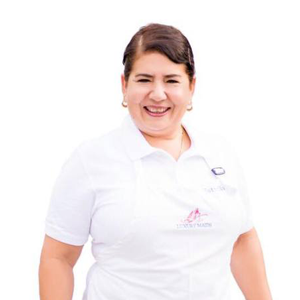 Silvia Timoteo founded Luxury Maids in 2007 after recognizing the dearth of high-quality, affordable cleaning services in the community. Following the loss of her husband in 2004, Silvia received an honorable discharge from the United States Army and moved near her family in Palm Beach County. 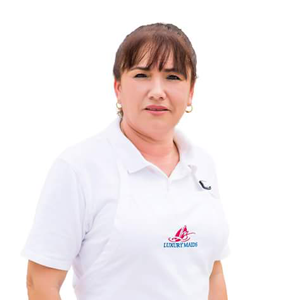 Several years later, Silvia decided to launch her own business using the valuable skills she had acquired from her service in the Armed Forces. 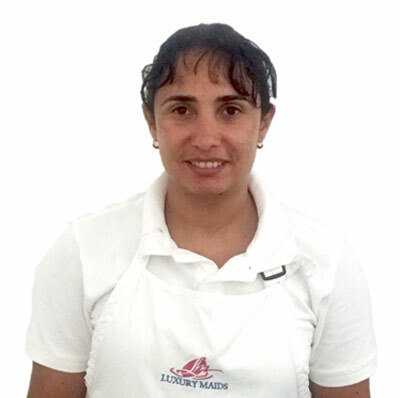 Silvia assessed the needs of the community, and Luxury Maids was born. 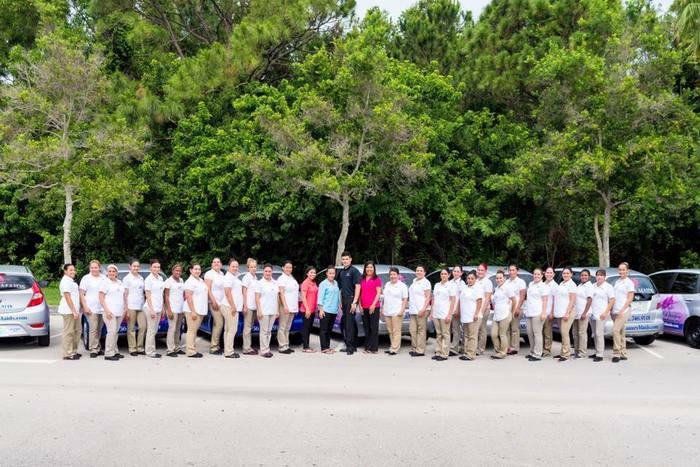 Applying the highest standards, Luxury Maids has served numerous residents and businesses throughout Palm Beach County, including West Palm Beach, Palm Beach Gardens, North Palm Beach, and Jupiter. The company is dedicated to giving back to the community that has made it a success: in collaboration with the nonprofit organization Cleaning for a Reason, Luxury Maids provides free house cleaning to women with cancer. 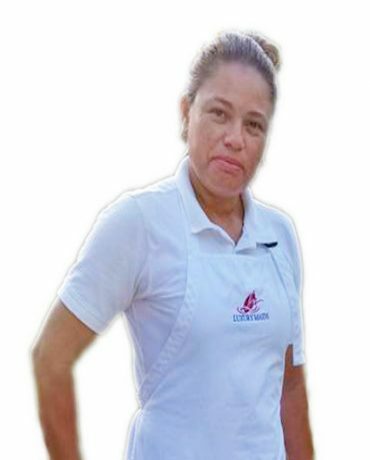 Luxury Maids is dedicated to providing exceptional residential and commercial cleaning and delivering friendly, meticulous service to every client. 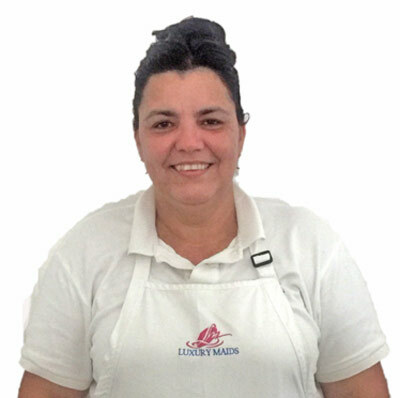 Based in Palm Beach County, Luxury Maids provides detailed cleaning services, tailored to each customer’s individual preferences. Our commitment to quality will give you peace of mind. 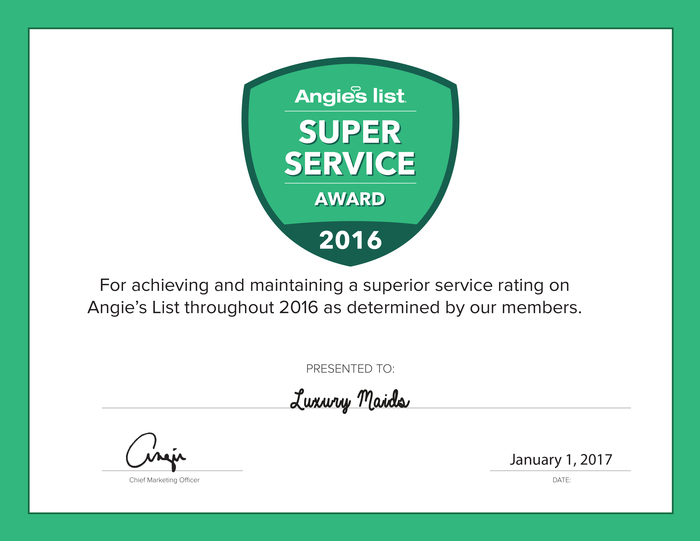 Achieving the Angie's Super Service award was an honor and just confirms the dedication that Luxury Maids has to providing excellent and high quality cleaning services. 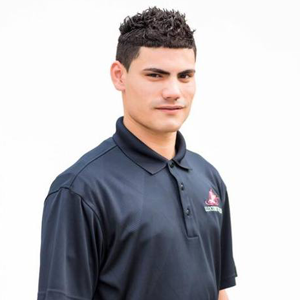 Maintaining an "A" rating in overall reviews, having reviews that indicated the services that were performed and having a good business standing with Angie's list all play a part in achieving this award. Our team of cleaning experts embodies the professionalism and ideals central to Luxury Maids’ top-notch service. 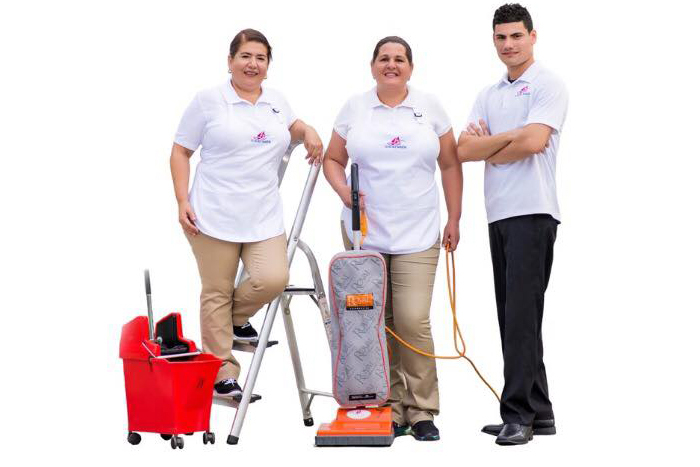 We typically work in teams of two (unless one team member is deemed sufficient), which ensures the most thorough, efficient cleaning. Your team will familiarize itself with your space and cleaning preferences and will customize the service to your specifications. 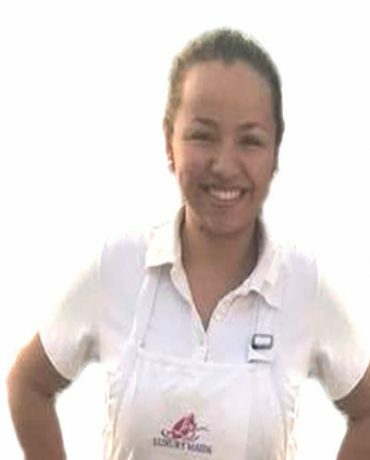 All Luxury Maids’ employees undergo a full background check prior to joining the company. 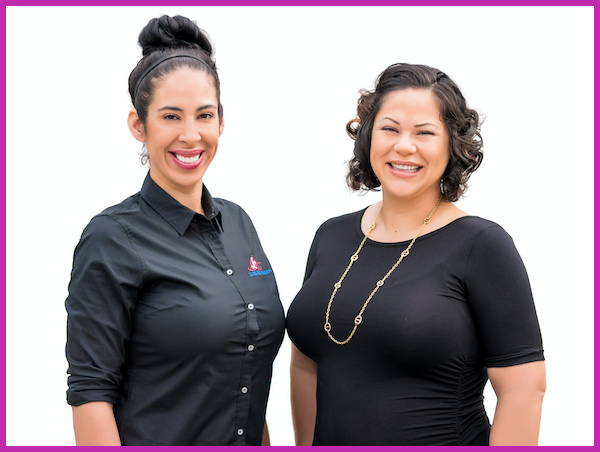 Our clients can rest easy about our staff working in their spaces: we are licensed, bonded, and insured, and we pay for workers’ compensation for our staff. 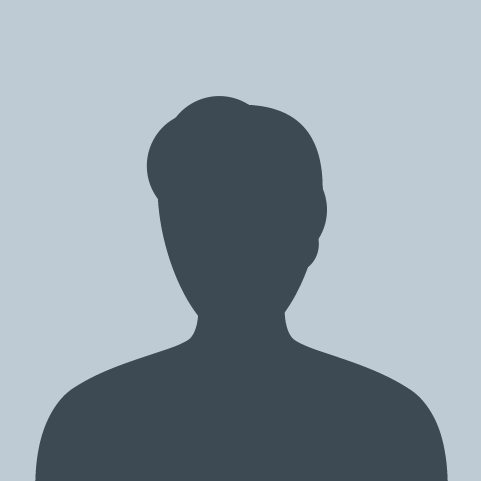 In addition, we cover all taxes and social security payments for which you would otherwise be responsible if you hired someone directly. Luxury Maids is a drug-free workplace.